Spinal injuries have many causes, but the results are always the same: peoples’ lives are completely changed. 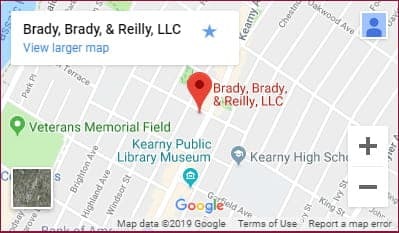 At the New Jersey law firm of Brady, Brady & Reilly (BBR), we help clients who have sustained spinal cord injuries resulting from the negligence of others. We have been able to obtain damages and compensation for victims so they can rebuild their lives. When we meet with potential clients, we help them understand the legal process. We advise them about their rights and their options. We discuss any time limits that might prohibit filing a claim after a certain date. We advise them about their chances of success. We want them to be prepared to make decisions about the case as it progresses. Our trial lawyers have helped many people who became paraplegic, quadriplegic or experienced some other level of paralysis. In many cases, victims are unable to work. They frequently require special equipment and ongoing medical treatment. The impact of spinal cord injuries on a family is profound. In short, life is never the same after a spinal injury. Contact an attorney at BBR for a free initial consultation if you or a loved one has suffered a spinal injury. We handle spinal injury claims in northern New Jersey, including Newark and Jersey City. We have been helping people since the 1970s and know what to do.